Chic, haute; chances are you’ve heard these French fashion words at some point. From red lips to striped tees, the French are all about embracing less-is-more as their everyday look. But what else makes up their approach to style? Read on for our tips on how to dress oh-so French, from fashion to lifestyle. As fall wedding season steadily progresses, 2017 brides are getting hitched with each passing week; which means 2018 brides, you’re on deck! Depending on the date, you’re probably up to your eyelashes in guest lists, save the dates, or menu options-but we know you’ll want to hear about the hottest wedding dress trends to arise for 2018! If you haven’t already locked down a look for your first day as a Mrs, don’t fret; we’ve got plenty of bridal inspiration right here! 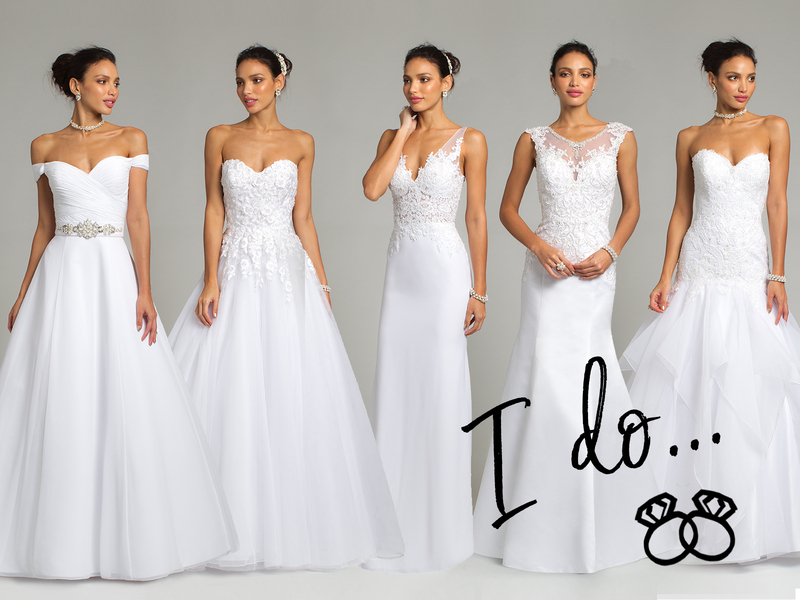 Our newest collection of wedding dresses just dropped, and there’s plenty of beading and tulle to go around. We broke down some of 2018’s most popular trends below, so you can fall deeply in love with a style as you did your fiancée. Let’s get started. In the organized chaos that is wedding day, every bride wants to look and feel like a princess…and more importantly, like herself. Ornate beading, a specific silhouette, loads of lace; no matter which styles you covet, the point of it all is that you do you. But for brides eyeing the latest trends, the options can be overwhelming. While qualities like lace, tulle skirts, and mermaid silhouettes are mainstays in wedding fashion, other trends fade in and out with each passing season. Selecting your wedding dress is not only personal, but puzzling. How to choose the most expensive, if not iconic, dress of your lifetime? For those looking to bridal fashion week (or Monday night’s Met Gala!) 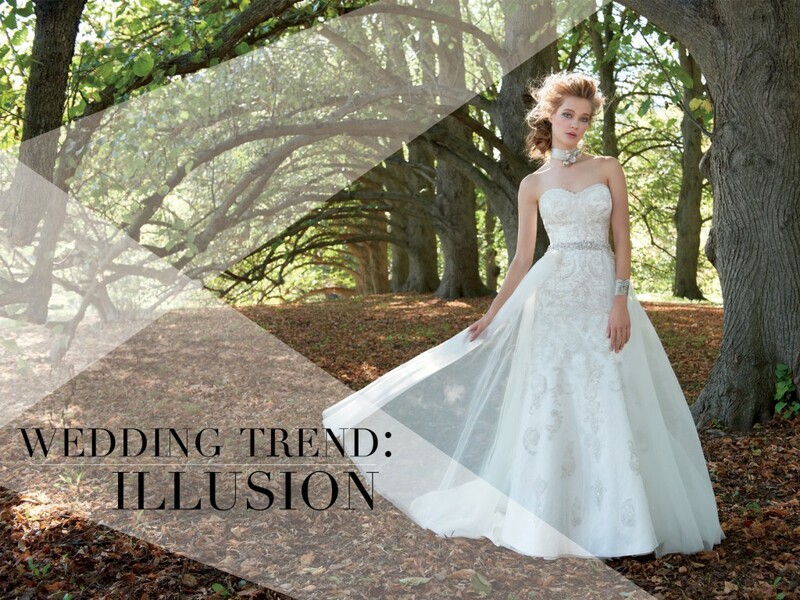 for inspiration, there was one particular trend that stood out in a sea of silhouettes: illusion! The perfect blend of coverage and comfort, illusion detailing continues to resurface for its vintage appeal and elegant finish. Brides may seek out the transparent fabric for a more secure plunging neckline, a touch more warmth, or just the sheer beauty of it (pun intended).